You wait for ages and then two come along at once. 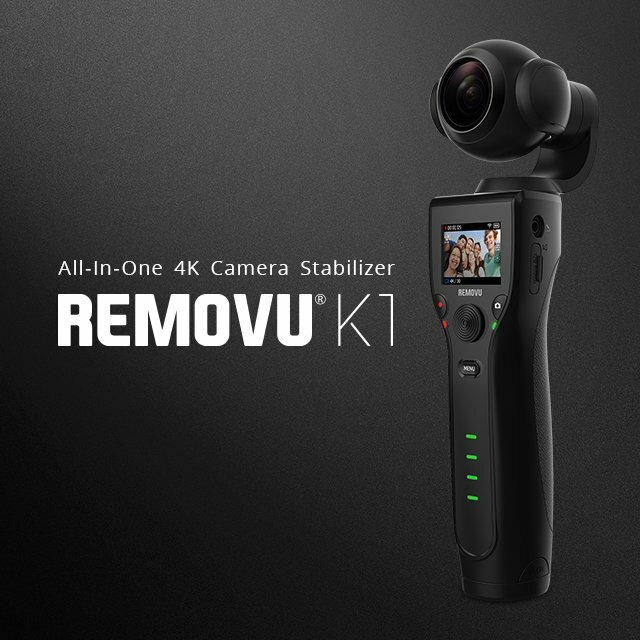 Hot on the heels of the Zhiyun Crane 2 announced recently, This week REMOVU have announced their new All-In-One gimbal, the REMOVU K1. 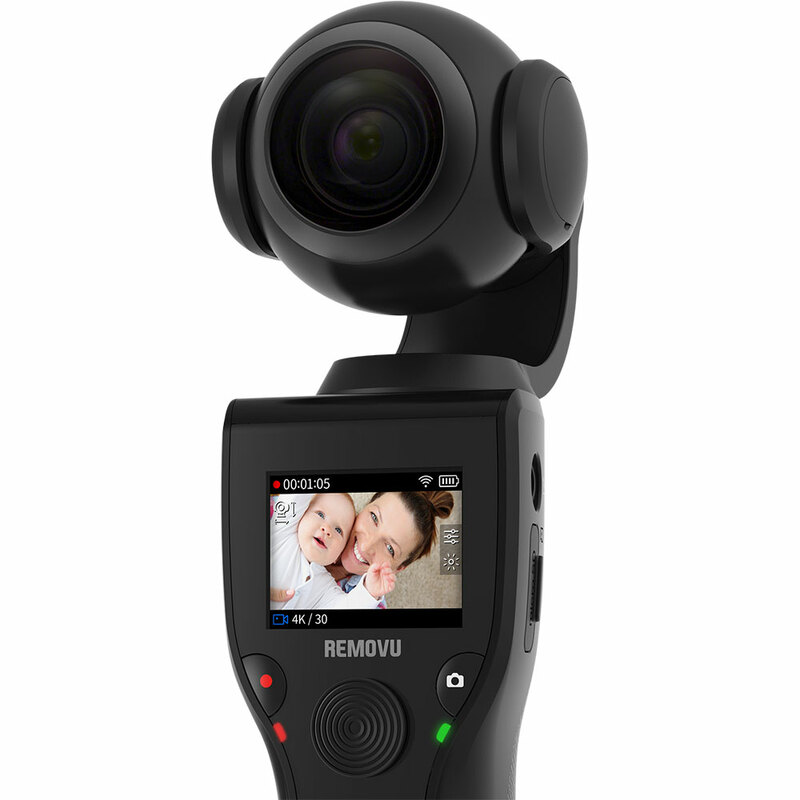 Going head-to-head with the DJI Osmo, Removu have added some interesting features, that might make this the best handheld all-in-one gimbal. Pre-orders start on the removuk1.com website on Sept 19th at 8am EDT. It all begins tomorrow! Pre-orders start on Sept 19th at 8am EDT. Hopefully, the release date will be in the next few months. You can preorder on the removuk1.com site now. GimbalReview will try and get hold of one to test, so stay tuned. 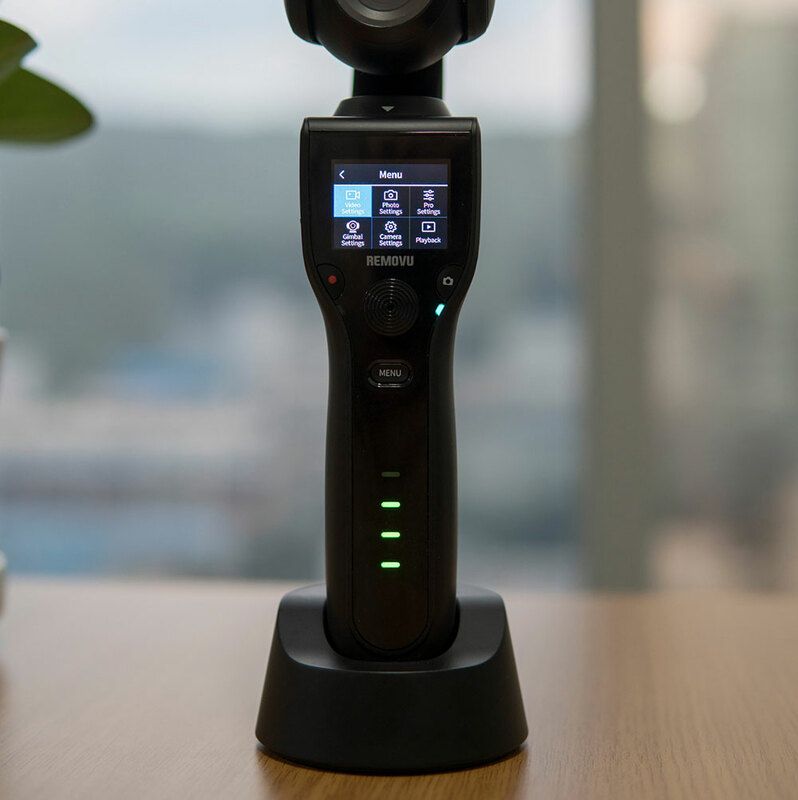 Below we check out the features that Removu are promoting for their new handheld stabilizer. If it’s as good as the REMOVU S1 we reviewed recently, then it will go in to the best all-in-one gimbal category. At first glance, you might be mistaken in thinking this was the DJI Osmo. The form factor is very similar. The spherical camera on the top of the handle looks pretty slick, and should mean that it doesn’t block itself, like some of the other GoPro gimbals can do. The controls on the REMOVU K1 look clear and easy to use. Looking at the product launch photos the handle looks comfortable. The controls are easy to reach with a thumb. The LCD screen is large and hopefully it’s bright enough to use in strong sunlight. To store the video, the Removu K1 comes with an SD card slot, and supports up to class 10 128GB cards. This according to some people online, gives space for just over 2 hours of video when filming at 4k 30fps (but it depends on the bitrate). The REMOVU K1 comes packing a camera with a custom designed F2.8 wide angle lens, and a 1/2.3” CMOS 12MP sensor. The K1 can capture video in 4K ultra HD at 30fps, and 1080p up to 120fps for HD slow motion goodness. The K1 can capture 12MP photos. It also supports slo-mo and timelapse video. Maybe with an indication of the intended audience, the K1 stabilizer comes with support for selfies. Thanks to the 30 centimeters focal length, K1 can perfectly focus while shooting a self-portrait. In addition, the K1’s 1.5″ LCD screen allows you to monitor what your filming. The stabilizer is equipped with an interchangeable “smart battery”. 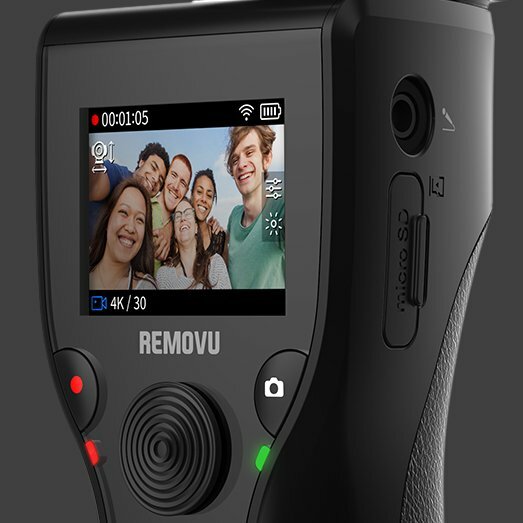 I’m not sure what a smart battery is, but Removu claim that it provides 4 hours of continuous filming on a single charge. In the specs (see below) the battery is a Li-ion 2,900mAh, if it’s interchangeable that’s good news as you might not have access to a charger when you’re out for the day. To recharge, all you need is a power source, no bulky chargers are required. You won’t miss another moment. The REMOVU K1 in its docking station. An optional accessory will be a docking station. You can stand the gimbal handle-first, and leave it to charge. Following the pattern of most other gimbal manufacturers, Removu have created a companion app to control the gimbal. With the app, you can preview live video, playback videos that have already been recorded and remote control the gimbal. This remote control enables things like timelapse video. The app is available for Android on Google Play, and for iOS on the App Store. Belwo are the specs as copied from the product website, removuk1.com. Looking for other more news and reviews? We rate and review the best gimbal in each category that you can buy at the moment. I’m living in Hong Kong and I’m using iphone 7+, but I couldn’t find the K1 app on appstore, please help ! Hi Mr. IP, Unfortunately, at this time, the app for iPhones is not yet released. According to the FAQ on the Removu website, the iPhone app will be released in April 2018.